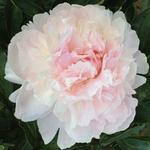 What can you expect to receive when you get peonies from us? The quick answer, "Good plants". In more detail, we want to assure you that our divisions are prepared to meet and exceed the industry Number One grade standard, three to five "eyes" (the common name for matured shoot buds). More than that, we intend to send out plants that have enough food storage root volume per "eye" to support first year shoot growth all the way to a flower. The actual size , dimensions, weight, and volume of the root may vary greatly between the various cultivars. The physical appearance also varies between cultivars. However, we send roots that are considert extra large for a given cultivar. Inasmuch as our divisions are mostly cut from fourth-year plants, they have flower bud initials already established in strong shoot buds. While this does not assure first spring flowering at your site, it is made possible. Your new plants must also get new roots in sufficient contact with the soil to support favorable shoot growth. 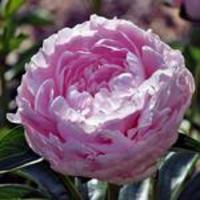 Caution, do not expect first spring flowers to be typical in size or amount of petalage. 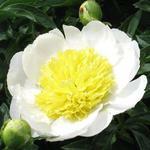 However, they should show color and form that is consistent with our printed descriptions for the cultivar. 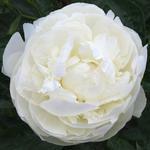 We DO guarantee our plants to be satisfactory upon arrival and that they are true to name. We DO NOT assure that they will live and grow well for you. That outcome depends too much upon circumstances beyond our control. However, if you lose a plant in the first year, let us know. We will work with you to diagnose causes and possible replacement.